Two weeks of hot savings for you lucky dogs with 25% off all regular priced stamps, dies and paper. 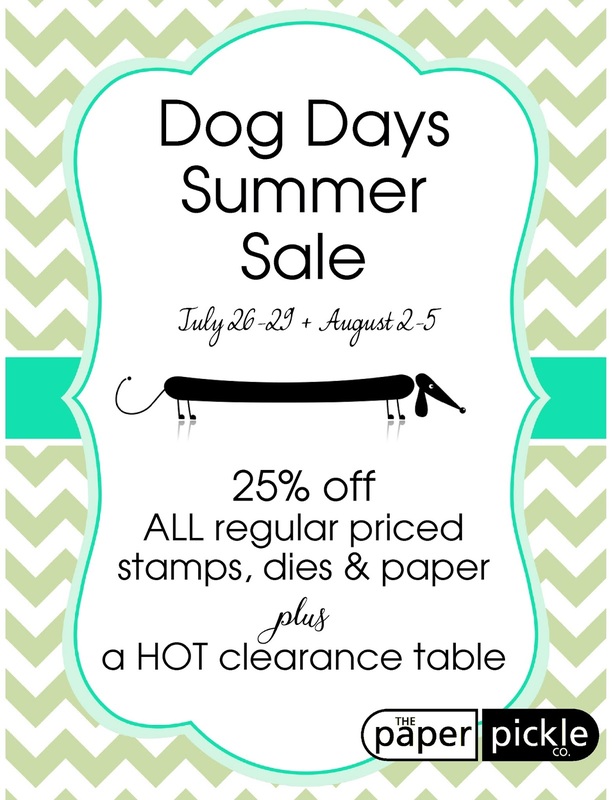 Plus have a look at this clearance table.....many new mark downs and many new items added to this table. We have received over 2 dozen journals which will be donated to the Chatham-Kent Women's Centre. Thank you so much for this support! We will be collecting journals for one more week. 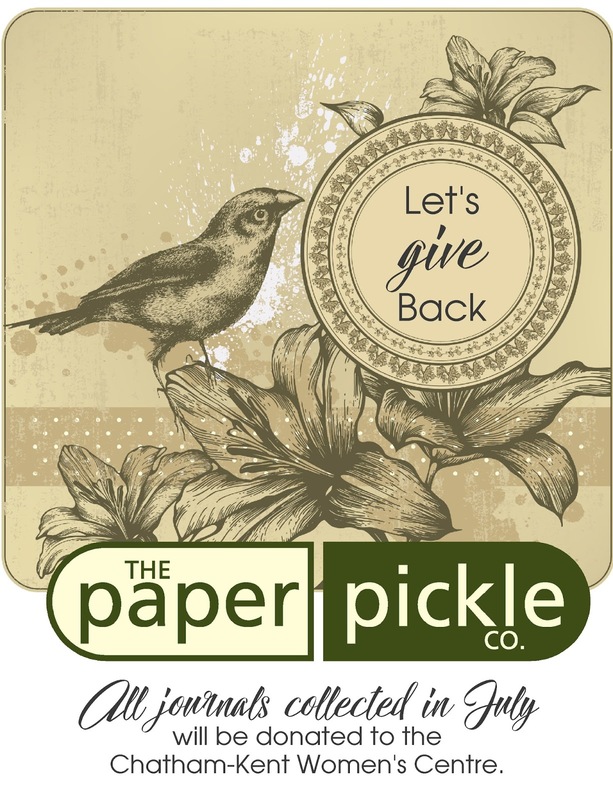 Please stop in and donate a journal or two. Small acts of kindness never go unnoticed. YOU can make a difference in someone's life. Join us this Saturday from 10-3 for a free make & take. We are working with a brand new paper from Alexandra Renke - a new line to The Paper Pickle. Her designs are incredible. I love how this sheet can be chopped up to create a pile of cards to have on hand. She shoots. She scores! 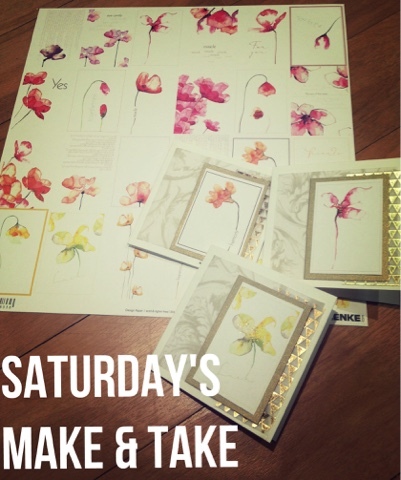 Stop in and make one of these pretty cards! We'd love to see you. Last year, I had the privilege of being a part of a beautiful idea. My friend and fellow downtown merchant, Vickie of Lady Blackbird Boutique and Tattoos by Vickie, asked if I would like to be a model in a vintage inspired calendar she was pulling together as a fundraiser for the Chatham-Kent Women's Centre. Of course I said yes....what an honour. It was an incredible cause and such a beautiful idea. Vickie is a woman who constantly amazes me with her talents, ideas and generosity. I know this calendar was a huge undertaking but Vickie gave of herself for a cause she is passionate about. That impacted me and inspired me. For a few hours on a Sunday, I was pampered. My hair was done by Nathalie Miller of Iron Willow and my make up done by Candace McEachran. All clothing and accessories were from Lady Blackbird Boutique. These women gave of their time and talent to make me feel like a queen. The photo shoot took place in the Presidential suite at The Retro Suites Hotel, only THE most beautiful boutique hotel. Aimee Raspburg took all these shots. Aimee is a true talent. Check out her facebook page, Aimee Lynn Photography. Again, these businesses gave of their time so women and children will have a safe place to go. I made note. I wanted to do more. So you guessed it....I am Miss July! As I flipped the calendar on Saturday, I was reminded of an idea I had and wanted to see come to life ever since I became a part of this fundraiser. I met with Angela of the Chatham-Kent Women's Centre a couple of years ago and she told me how journals are always in need at the shelter. Each woman and each child is given a journal where they can write their thoughts and feelings. I have kept a diary/journal since I was in grade 6 and I know how powerful they can be. It is where I have written my most intimate thoughts....things I have never shared with anyone. It is my kind of therapy and I know many share this same idea. This is where you can help.......Now I know you guys are paper lovers like me. I'm sure you have a few journals in your stash that you have accumulated over the years. I will confess that I pick up journals where ever I go. And I also know that many of these journals may never get touched.....and isn't that a shame? These beautiful journals would be greatly accepted and welcomed at the Centre. 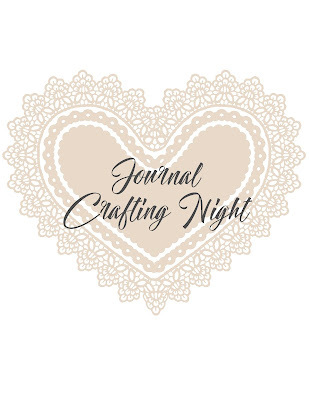 Sign up for a spiral journal making night! 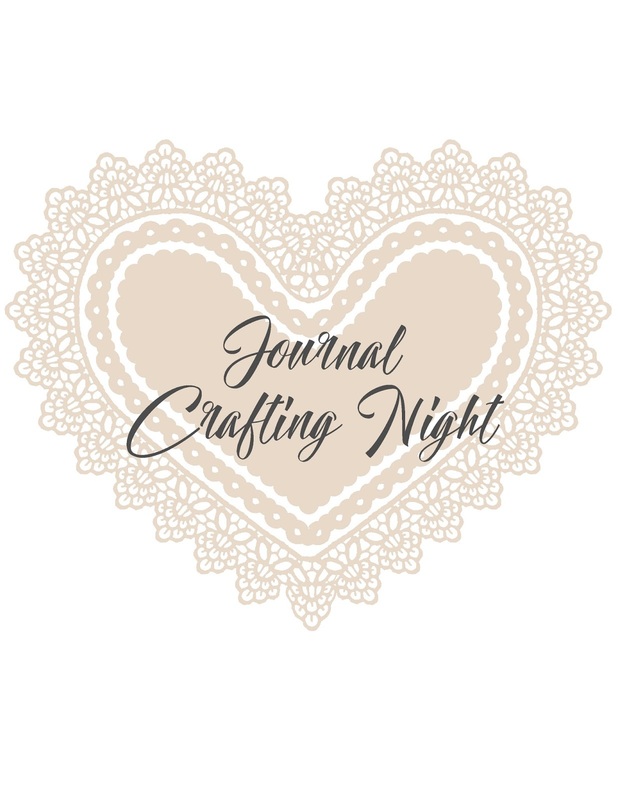 We will make TWO identical journals - one for you to take home and one to be donated to The Chatham-Kent Women's Centre. Note: I am not quite done my design but believe me you will not be disappointed....a lot of love and care is going into this design. These chipboard albums will measure 6x8" and will be decorated with designer papers and embellishments. Photos to be shared soon! I am proud to put these ideas forward and I hope you will consider joining me in making a difference.